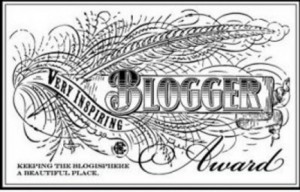 Thanks to The Future Is Papier Mache and John of Notes to the Milkman for nominating this blog for the Very Inspiring Blogger and the Sunshine Awards, respectively. Here’s my answer to one: 888. Indie Thinking BG Mitchell – Thoughts on writing.